Scientists have, for the first time, demonstrated that climate models are able to simulate past abrupt changes in the Earth's climate – giving more confidence in predictions of future global climate change. The study, which was published this month in the scientific journal PNAS, was led by Professor Sybren Drijfhout, who is Head of the Physical Oceanography Group at the University of Southampton. The team interrogated a state-of-the-art climate model, and found that it is able to recreate an abrupt cooling event similar to the ‘Little Ice Age’ by taking into account the ocean, atmosphere and sea ice components of the climate system. This capability exhibited by the model implies that scientists can be more confident about predicting rapid climatic changes in the future. Global climate has fluctuated throughout Earth’s history, driven by natural variability in Earth systems and external forcing. Clues from the geological record have allowed scientists to detect abrupt transitions between different climate states, but until now they have not been able to recreate them in computer models of past climates. “Scientists have argued that we cannot trust climate models if they are unable to reproduce abrupt climate switches which have occurred in the past,” says Professor Drijfhout, who is based at the National Oceanography Centre, Southampton (NOCS) and is also affiliated with the Royal Netherlands Meteorological Institute. Professor Drijfhout is now working with colleagues from the European project ‘EMBRACE’ to analyse these climate events in more detail. The climate model investigated in the study is the EC-Earth model, developed by a consortium of European countries together with the European Centre for Medium-range Weather Forecasts in Reading. The ‘Little Ice Age’ cooling event occurred in the pre-industrial era and lasted for more than a century. 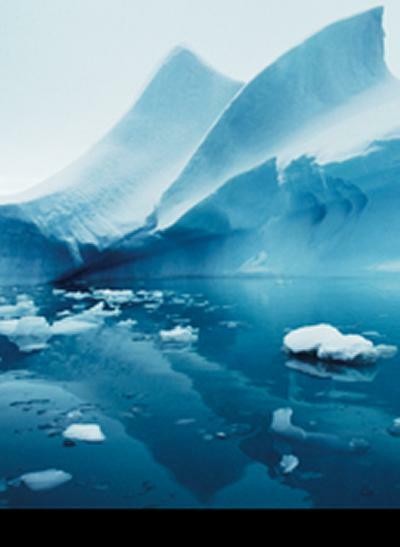 It was triggered by the following mechanisms and feedbacks of the ocean-atmosphere-sea ice system: 1) sea ice extent east of Greenland increased, thereby reflecting more heat back into space and insulating the atmosphere from the ocean’s heat; 2) a change in the atmospheric circulation (referred to as ‘atmospheric blocking’) led to northerly winds causing further increase of sea ice in the area; and 3) transport of sea-ice by ocean currents led to reduced mixing where deep water normally formed, weakening the Gulf Stream in the North Atlantic. These feedbacks were sufficient to simulate the rate of change observed in the geological record.